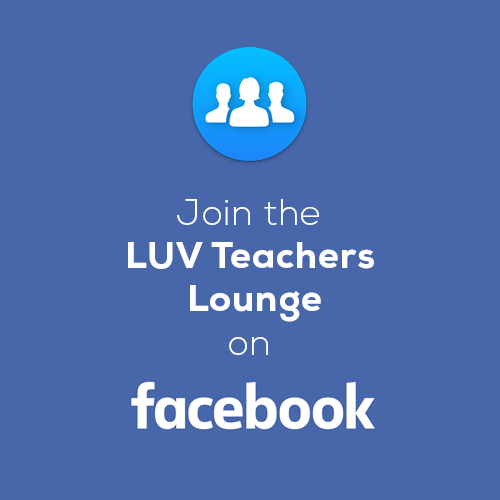 Be a part of our LUV Global Educators Community! Do you believe that education is about inspiring intellectual curiosity and preparing students for the jobs of the future? As a LUV Global Educator, you bring STE(A)M + Global Collaboration to your students by creating a ‘classroom without walls’ and connecting students around the world. Welcome to the LUV Teachers Lounge! Interested in bringing Level Up Village to your school? 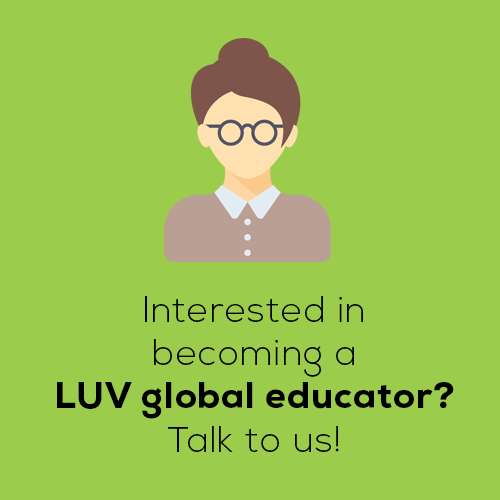 Want to speak to another LUV Global Educator? Several experienced LUV Global Educators have agreed to answer questions from teachers who are thinking about bringing LUV to their schools. – Cora Tench, Upper Elementary Teacher at East Cooper Montessori Charter School. Watch this TV news segment about Cora’s Global Doctors DNA collaboration. “I believe that a global education, at any age, is hugely important. Students are able to develop an international mindset from a young age and a global education enables students to think about what they are learning in their classes as it relates to the important events around the world. Teaching modern tech skills like web design, game design and 3D design provide students with key and valued skills in higher education and in the job market. – Sam Wallman, Covenant Preparatory School in Hartford, CT.
– Katie Sandlin, Teacher at Pace Academy, Atlanta, GA.
– Patrick Munguti, Teacher at Kenya Connect. “This course was a great way for me to learn about incorporating culture and technology into the science classroom. Learning about ecology and the environment is a big part of building new technology today that will enhance the lives of the future. – Juliette Berry, afterschool STEM instructor at Samuel Staples Elementary School, Easton, CT. She taught the Global Explorers course. “The biggest takeaway that I hope our students got from this experience is learning about another culture and really collaborating and learning what it means to be a global partner and have a collaboration that’s more than building on a 3D printer, but really getting to know the partners they’re working with in India. Please share your experiences here – swap stories, offer advice or resources to one another, and explain how your LUV classroom has changed your students’ perspective.